Throughout its existence, Bosnia has been a religiously pluralist society. The various Christian churches, Judaism, and Islam, plus numerous syncretic forms, as reflected in one language and their various experiences with it, have contributed to this plurality. In the modern era, this means that Bosnia is considered an anomaly, because its pluralist culture does not readily fit into modern nation-based teleologies. It is stated and stressed that Bosnia is not and cannot be a political nation in its own right, and therefore its breakup will give the raw material needed for ideology-driven projects aiming to construct homogeneous national futures. The miracle of Bosnian poetry’s cultural presence in Europe, therefore, has arisen outside such rational cognitive frameworks. 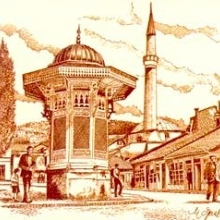 The fact that some Bosnian cultural achievements have excited some of the most eminent writers and researchers in world culture has been contested and suppressed by narrow nation-based world-views. Telling examples of this are The Sad Ballad of the Noble Lady Hasanaginica (first published in 1774), and the discovery of Bosnian oral poetry in the nineteen-thirties (Milman Parry, Albert Lord, and others). In the last war against Bosnia, the world’s cultural public was again confronted with the drama of the complete denial of Bosnian culture versus its obvious undeniability. These were the circumstances in which I encountered Francis R. Jones’s translation work. In saying “I”, I simply mean to stress that this can be said with certainty, though hundreds of people in the country and the world actually encountered his intellectual explorations into Bosnian poetry as an integral part of South Slav culture. These explorations were in fact an extraordinary and exciting synthesis of the ethical and aesthetic aspects of Bosnia’s cultural plurality, whose survival was under threat. Francis R. Jones’s book Prevoditeljev put (‘Translator’s Journey’, Sarajevo: Buybook, 2004), which I translated from English into Bosnian, was the first to present theory- and practice-based accounts of translating Bosnian poetry into the English-language world. These discussions clearly showed that conventional concepts of cultural diversity also risk misjudging the other and the different. Liberation from ideologically-constructed images of the other concerns all people, and presenting the cultural achievements of one people in the culture of another is a means of building bridges between individuals and the cultures in which they are embedded. Adopting aesthetic criteria in relation to a people’s culture does not and cannot guarantee that such accounts will be ethical. Nor is the converse possible – the translator’s ethical stance cannot and must not involve sacrificing aesthetic criteria. Francis R. Jones, in applying and expounding a multidimensional model of translation strategies, has clearly indicated that these criteria are indistinguishable. One can point to numerous individuals in Bosnia who have been stimulated by Francis R. Jones’s work to research various aspects of translation theory and practice. Through his translation strategy, Francis R. Jones has drawn attention to the key dilemmas and dangers in this undertaking, but also to the role of translators as ambassadors in interpreting and representing one culture to another. Every work of art is created in a concrete spatial and temporal context, in the uniqueness of the artist’s individual consciousness. The work’s form and substance remain incomprehensible outside of it. But this concrete context, in its deepest sense, transcends all boundaries. A work of art is translatable from one language into another. But ensuring this happens is a complex skill, which requires the translator to examine the work in more than one light – that of the source culture and that of the translation’s culture. When a work is translated into another culture, its role is to bring its cultural homeland’s aesthetic and ethical content to the listener, reader or viewer, but also to be a charming, honest and attractive stranger in the culture that receives it. Bosnian culture, like many other cultures of small nations in the drama of a pluralist world, needs ambassadors with a feel for and knowledge about what lies hidden behind the denials of the ideologues. With the appearance of Francis R. Jones’s translation work, Bosnian culture has gained, beyond all doubt, an ambassador the like of whom it has never had before. When two editions of Stone Sleeper, Bosnia’s most famous book of poetry, were published in English translation, its questions about Bosnia’s religious plurality, the medieval Bosnian krstjan faith and this faith’s relations with Bosnian Muslim mysticism were recognised in the country and the wider world as a major discovery – a discovery that points modern man towards accepting the world’s religious plurality as a precondition for the realization of human individuality. 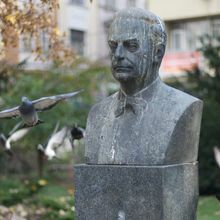 Thanks to Francis R. Jones’s translation, the poet Mak Dizdar was rediscovered as a Bosnian voice in the universal symphony of poetic speech. Several philosophers of religion, researchers into perennial philosophy and others, who I am in contact with in various ways, read Mak Dizdar’s poetry for the first time in Francis R. Jones’s English translation. For all of them, this experience – as their many accounts reveal – was one of discovering a previously unknown cultural achievement which forms part of the world’s treasury of cultural riches. It should be stated beyond all doubt that, with his translation of Stone Sleeper, Francis R. Jones brought this work into this treasury of the world’s most highly-valued cultural achievements. After the English translation of Stone Sleeper was published, its translation into other languages ​​(Urdu, for example) took place. Francis R. Jones’s translation was the basis for this. Stone Sleeper was born in the modern age, an age when language, meanings and symbols were linked with Bosnia’s deeper past. Modern ideologies were unable to represent the feeling that Bosnia’s religious plurality is a precious resource for the world. Not only were they unable, but they bristled with hostility against this rich universe of diversity. This feeling found full expression in the strange and thrilling poetic speech of the many voices brought to life again in Stone Sleeper. The power of Mak Dizdar’s poetry lies precisely in its near-total synthesis of cultural themes which span the centuries. The secrets of language in Stone Sleeper’s polyphony of voices are challenging even for Bosnian readers. In its poetic speech, they discover themselves and their feelings are given living voice. It contains virtually all the fears and hopes of the Bosnian people. By investigating this interplay between meaning and form in Mak Dizdar’s poetic language while striving to bring his discoveries and experiences into the culture belonging to the language of translation, and by striving to preserve in his translation the Bosnian forms he revealed, Francis R. Jones has also helped Bosnian readers to distinguish them and know them as an important aspect of their identity: otherwise they would have seemed archaic and hard to understand properly. Therefore it can justifiably be said that Francis R. Jones’s translation of Stone Sleeper, though aimed at English readers, has also become an important and accepted part of contemporary Bosnian culture. 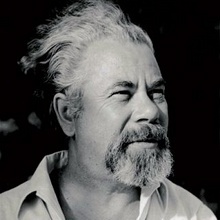 By translating Stone Sleeper, which in the opinion of experts is a unique enterprise, given the book’s complexity and accomplishment, Francis R. Jones has become recognized among Bosnian intellectuals – to which one should add Bosnia’s wider South Slav surroundings – as a partner in affirming South-Eastern Europe’s cultural plurality. His translations of poetry by Vasko Popa, Ivan V. Lalić, Drago Štambuk and others give convincing proof of the South Slavs’ poetic symphony of different voices. His translations form a corpus that opens up completely new perspectives on the plurality of European culture, but also new vistas of opportunity for the translator as ambassador between different cultural worlds.